2019 Toyota Camry Vs Honda Accord – What’s the difference? The spacious Honda CR-V is a voluminous sporty car that comes with state-of-the-art technology, athletic personality, one-touch power moonroof and exciting features sure to win the hearts of the Fernandina Beach citizens. However, the Toyota RAV4 is clearly superior to Honda CR-V as it delivers a safe, practical and stylish drive equipped with innovative gadgets along with being hybrid and free maintenance for 25,000 miles or two years. 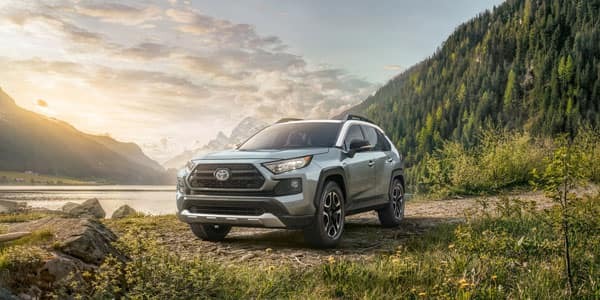 Toyota has upgraded its features and improved considerably especially in areas where it lagged behind its competitors, making the Toyota RAV4 a smooth, fuel-efficient and preferred car of Fernandina Beach area. The Toyota RAV4 has surely undergone a complete makeover and has been fully redesigned to deliver an extensive variety of innovative and tech-savvy features delivering impressive performance. While Honda CR-V is giving it a tough competition, it fails to offer a hybrid facility, state-of-the-art infotainment system and smartphone compatibility. 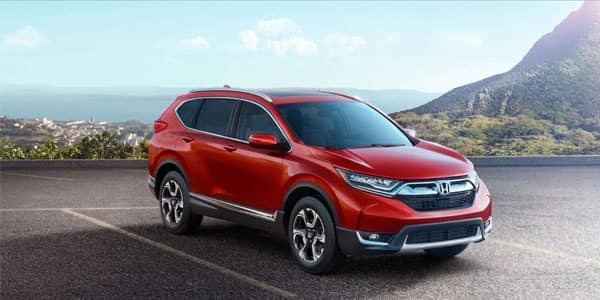 Although, the Honda CR-V has the availability of two engines; 190-hp 1.5-liter or the 184-hp 2.4-liter turbocharged engine with many luxury options definitely broadens its appeal. General engine specs of both the cars are listed below in the chart to help you decide the best car for your family. 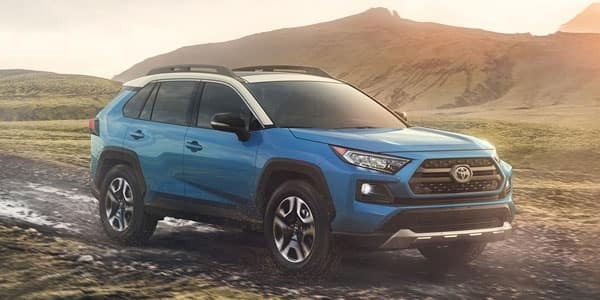 The bestselling passenger vehicle, the Toyota RAV4, is ready to take your family on all of your adventures, whether around Fernandina Beach or beyond, while keeping your kids safe and secure all through the journey. 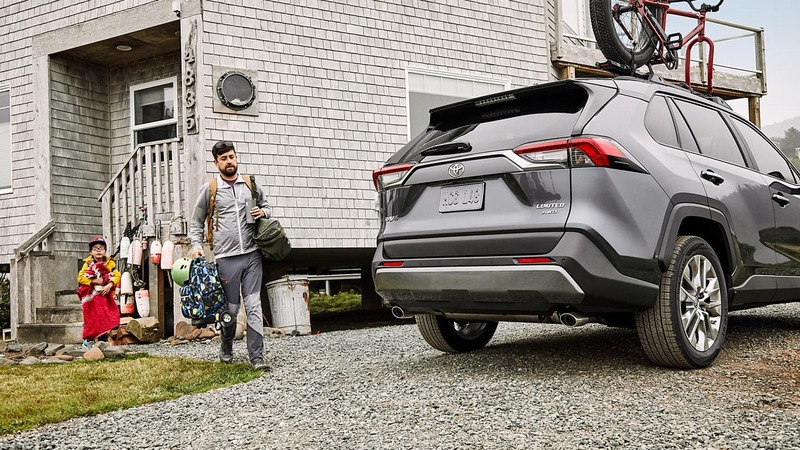 The 2019 RAV4 effortlessly blends charisma and powerfulness with 19 inch wheels that gives you the control to tackle any road, any time. While the Honda CR-V delivers 4-wheel anti-lock braking system which is specifically designed to deliver complete control during tough braking circumstances along with optimizing braking power. Further, the brake assistance improves the overall safety and brake performance by applying braking pressure whenever it detects a panic stop. Although both offer certain similar standard safety offers, they both deliver exceptional safety for you and your family. 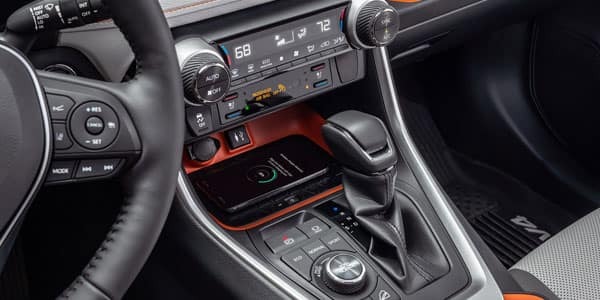 The RAV4’s busy dashboard has nice materials on most trims and either 7.0- or 8.0-inch touchscreens for infotainment with Apple CarPlay compatibility. 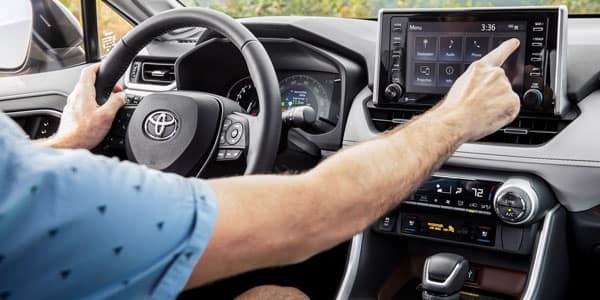 Active safety tech such as automatic emergency braking, adaptive cruise control, and active lane control is standard on every RAV4 and most trims offer blind-spot monitors and rear cross-traffic alerts. The interior of the Toyota RAV4 is quite fresh and stylish with a big emphasis on being a spacious sporting car. 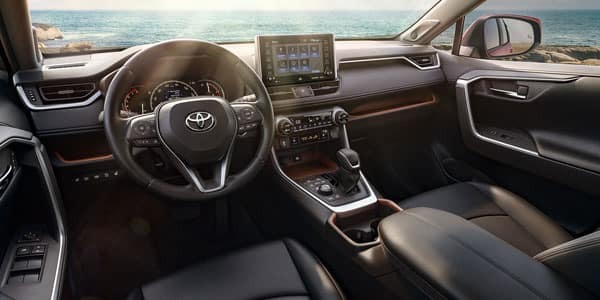 The 2019 RAV4 undeniably has a sleek design with pioneering technology and a spacious interior. The CR-V has a typical Honda characteristic and interior which is simply being well-screwed-together but surely gives less of a luxury feeling. 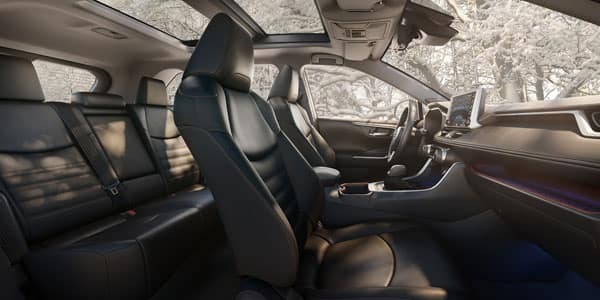 While the CR-V boasts slightly more space in cargo, but can’t compete with Toyota RAV4 cabin space having exceptional materials and comfortable seats. Indeed, the Toyota RAV4 gives an overall classy feel with a spacious and versatile interior, making it the most preferred car for Fernandina Beach citizens. Having great passenger space with accessible cargo definitely makes the RAV4 an excellent SUV choice. Why Choose Arlington Toyota near Fernandina Beach, FL? We at Arlington Toyota, have some of the best models of the automobiles for your entire family. Also, we have got a very friendly & expert technician, service center, huge inventory and a finance department for your assistance. Arlington Toyota delivers peace of mind with every sale we make. Be sure to visit us next time you look for a family car in Fernandina Beach, FL.